Lock King is a rapidly growing company that puts its unrivalled growth solely down to positive word of mouth and recommendations. While the majority of work carried out is in residential properties, Lock King is the first port of call to a huge range of regular business customers from a major supermarket chain to local councils, to well established letting agencies. Lock King primarily specialises in locks and double glazing repair, able to supply, fit and maintain both to the highest standard. 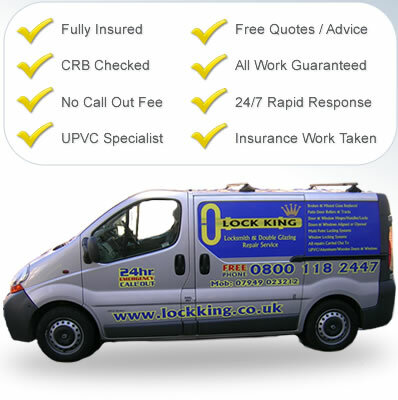 The combination of expertise in locks and double glazing repairs makes Lock King the suitable choice.